Aloe-Ginger. A perfectly balanced blend of Mother Nature’s top two ages old soothing ingredients for the digestive system. Friendly Flora (Ultimate, too). The friendly microorganisms that are essential for healthy, comfortable digestion, regularity and immune function. Most aspects of modern life undermine the availability and balance of these vital friendly organisms. 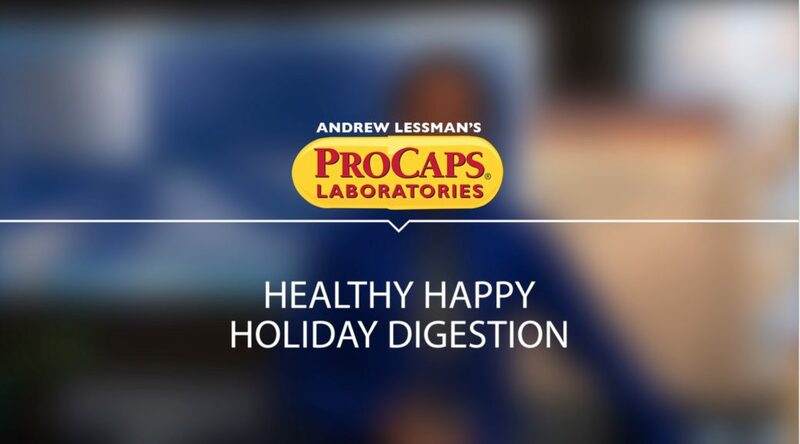 Many would say the worst time of year to try a new digestion product would be during the holidays, but I would argue that the only time to see how effective it can be is when our digestive systems is most challenged. I am confident you will be thrilled at your results and I encourage you to check out the reviews of all these products, since they are all, without exception, highly rated customer picks. Their reviews speak eloquently and passionately about the incredible impact they can have on healthy digestion and quality of life. Moreover, all of these products come with a money back guarantee until January 31st so there is abundant time to experience their benefits. Enjoy! Happy Thanksgiving! Despite all the challenges we face in the world… we all still have so much to be grateful for. Plus, Ultimate Friendly FloraNext PostHappy New Year! There are so many products and it’s just overwhelming. Why not have a way to find the right products for customers. Like a questionare ? Example. I am post-muenapasal (age 51) and have some joint pain and Some vericose veins in my legs that ache at times. What multi vitamin and products would be best for me ? Hi Andrew & team. I was a customer for over 15 years. I was a vegetarian for the last 3 years and I’m newly vegan 3 weeks. Have you considered having vitamins with vegetable based capsules? Terese, there are a few vitamins that are veggie based called Cruciferous Vegetables and the Green Foods Complex. There’s also a fruit based one called Fruit Full Anti-Oxidants. I have been loyal ever since you started and we are forever young. I have always found it hard to get off your plastic seal. Why not put a red pull tab where the perforated lines are. Realize that it will cost you. But heck it is hard. A sharp pointed knife will do the trick to get those seals off. Easy-Peasy! I also have issues with the plastic seal. Even finding that dotted line where you can pull is tough to see. I’d love to see a nice LARGE red pull tab so that you can easily see where to pull and can do it quickly. Love all the products, but I do think Cris has a very good idea and would love to see it implemented! I have had to use a knife to get the plastic off, but I do think that can be dangerous even when you are trying to be careful. Your monthly specials with videos of each product are a great idea! I already take some of these supplements, Digestive Assure, Aloe Vera, Ultimate Friendly Flora, and Fibermucil; all of them are remarkable!! I have a very sensitive stomach and since I take these supplements, I have seen a huge difference with my digestion. For instance, if I eat a heavy meal, I usually get a strong stomach pain right after. As soon as I take the Digestive Assure along with the Flora, I feel much better, my discomfort goes away, and I can sleep at night. I have modified my diet and with these supplements (along with others) I feel like I am twenty years younger (I am in my 40’s). I won’t stop taking any of them because they really work!!! Thank you for providing the best quality supplements in the market. Keep up with the good work, Andrew! I love how the November monthly specials have been presented with these videos. Great idea and I hope you continue with it in the future. It was very informative and specialized on each product that’s on the monthly special. I have been with your company for a long time. You are the best and what you say about your products are absolute!! I ordered a jar of cranberry vitmain and I had taken nearly all of them. When like magic my husband came in with a box from Pro Caps. I said I don’t think I ordered any thing new. We opened the box and there was a JAR OF CRANBERRY VITAMINS. They explained why and I was so taken aback and thrilled at the same time. Anyway due to a shipping or and a packing order they sent me a new jar of Cranberry Vitamins. I want to thank you from the bottom of my heart. Not many people around like Andrew Lessman. I Love ALL Procaps products I was wondering if a flax seed or coconut oil product is in the works , and by the way it’s a great idea that you have multiple products as monthly specials. Thank you, Andrew Lessman, for providing me with the most informative information reguarding our health and for the products that help me, with all of the guess work, out of the way. I have been using your supplements for many decades now and I appreciate having them available because of your hard work. Andrew you are a great example for taking supplements, you look fabulous and fit, please tell us some of your exercise routines, i.e weights, body exercises, running? I am a 68 yr old woman with many medical conditions. Uncontrolled Diabetes, Heart Disease with 2 stents, awful Gerd with a hernia and now almost unable to walk. I am on 10 pills a day plus Insulin and now one of the medications I am unable to get because my insurance won’t cover it. It is called Omeprazole which is a generic for Prilosec. I would really like to take a natural digestion supplement and although I have watched you On HSN for years, I have always been too afraid to dump the big Pharmaceuticals for possibly a better way. After doing a fair amount of research on you and your company I feel that you actually care about what you put in those capsules and the quality and care and cleanliness of your facility is the best I have ever seen. So I am looking fora place to start. Can you give me some guidance as to what you feel will do better for me in the digestion department and won’t interfere with the other statins, blood pressure and cholesterol lowering medications I take? At this point in my life I have little to no faith in Western Medicine or the Doctors…I guess what I am trying to say is that I just want to feel better. I want to sleep at night and not have to sleep all day and I am hoping with the right supplements for all that ailes me that maybe…just maybe…I can achieve this with the right supplements.